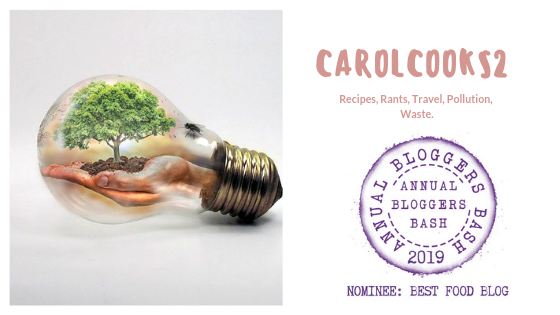 CarolCooks2…Week Two…Join me in my kitchen… | Retired? No one told me! Where you will get an insight into what I have been cooking this week…Plus a bit of chat and trivia it would be boring otherwise…Wouldn’t it? I have been busy working on my cookbook I have done a U-turn as I was a good way through a fish one but decided against it as the Fishing Industry has serious problems that I would shelve that for now as I don’t want to encourage anyone to buy fish which is not sustainable or highly farmed…I have changed to sauces…Sauces are something which I and many people struggle with and I am always getting asked by my children and friends …How do I make this? So I have decided to reveal all and hopefully dispense with the mysteries of making a good sauce. I also want to just clarify what is morning-glory…? Also called water spinach it is a very popular vegetable either eaten raw or stir-fried. A pretty little plant and the flowers are edible. Tabula Rasa commented …The flower we grow in the UK isn’t edible….as such. I researched it when I came back from Vietnam having eaten it there. The U.K. Plant is different and The seeds contain a substance similar to LSD and can be toxic. This is part of the Banana tree and a jolly good use as the banana tree only fruits once …When it has fruited the mother plant dies and leaves lots of little babies around the base. The banana plant is called a ‘banana tree’ in popular use, but it’s technically regarded as a herbaceous plant (or ‘herb’), not a tree because the stem does not contain true woody tissue. It is this tissue which has been used to package these tomatoes. Plastic wrap was used to encase these but better than a plastic tray and plastic wrap. I just love the Thais ingenuity and waste not attitude. What has been cooking in my kitchen this week?? I large tin tomatoes or 6/8 fresh tomatoes blitzed ( I always make a batch of tomatoes for spag bol/chillies and freeze in portions. 1 tsp sage or fresh leaves if you have. Add tomatoes and cook for a few minutes then add tomato puree and mixed herbs, bay leaf, oregano, balsamic and Worcester sauce. Meanwhile, make a white sauce. When spaghetti is ready starting with a layer of mince then pasta sheets, Then mince, white sauce, pasta until you have completed 4 layers finishing with the white sauce. Grate over your favourite cheese… I use cheddar or a mix of mozzarella and cheddar. Cheese can be difficult to get here so if I have plenty then I also use some between my layers for a cheesier lasagne. I think lasagne is the type of dish where anything goes really sometimes I add bell pepper to my sauce it depends what I have in my larder/fridge. Cook lasagne on 180 degrees for 30 minutes or until pasta is cooked and cheese is golden and bubbling. It got the thumbs up from the rest of the family…Me, I thought it was Ok…I prefer my spices dry toasted to release the flavour and the sauce was a little lacking…I am hoping one of my Indian friends might have a recipe …Hint Hint! That’s all for this week not really an exciting week in the kitchen well unless you count the fact that I used a shot of the Naga Chilli Vodka my son sent me added soda, ice and a squeeze of lime… The fumes ..Even if I held my nose just the fumes ( it is mega hot) made my voice go funny…lol… For INFO: The Naga Viper pepper is one of the world’s hottest chillies. It has a rating of 1.3million Scoville Heat Units (spice measurements). In contrast, Tabasco sauce rates at around 2,500. So if you are thinking of trying naga chilli vodka have it in a Bloody Mary…Don’t do what I did although I was told that the longer the chilli stays in the bottle the hotter it gets…Guess who didn’t listen?? This entry was posted in Authentic recipes, Authentic Thai Food, Cooking from scratch, Pigs Trotters, Uncategorized and tagged Cooking from scratch, Legumes, Lentils, Recipes on January 11, 2019 by CarolCooks2. I have a great lentil recipe for you. Quick and easy. If I have low energy, it really picks me up. *Did you know that lentils are good for anemia, low blood pressure and ulcers. One question , Darlene what basil do you use? I used regular dry basil I have in the cupboard but if I have fresh growing in my garden I use that. I am sure any basil would work well. Thai basil would probably give it a very nice flavour. A terrific post. Two comments: I have been on a Lasagna tear, making it three times in two weeks – I just had to have rich red sauce and cheese, and Lasagna was the perfect vessel. Second, I don’t like things too spicy, so bravo to you for trying that Naga Chili Vodka the way you did – not for me! Great post as always! I am trying to be more open to the “ghost pepper” type of spice, but I have to admit it just blows out my taste buds!